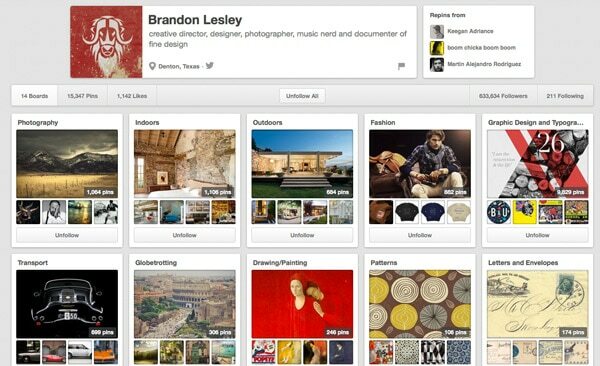 I can be inspired by almost any type of visual, and Pinterest is one of my favorite places to find visual inspiration. 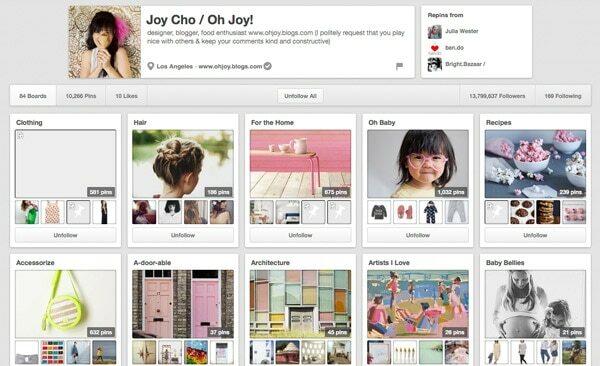 From design projects to websites to DIY projects, there is a little something for everyone on this virtual pinboard. 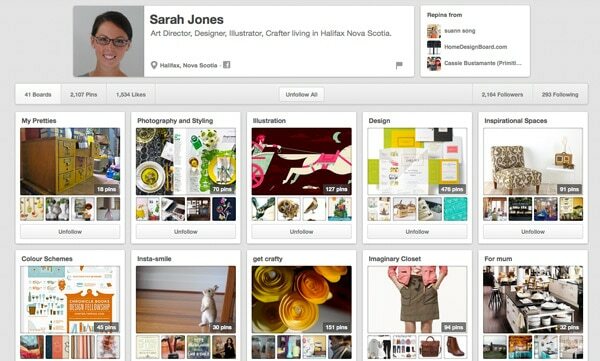 And designers are taking advantage of this tool in a major way. 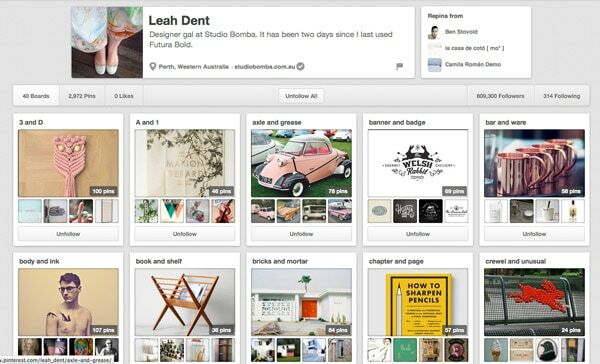 It’s a great source of inspiration and a place where you can show off your work as well. 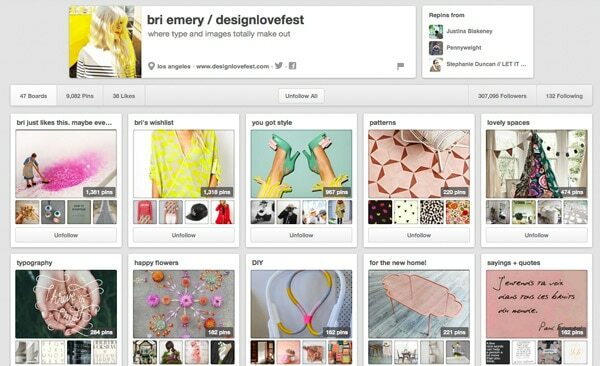 Here is a collection of designers you should be following on Pinterest, and my favorite board from each. 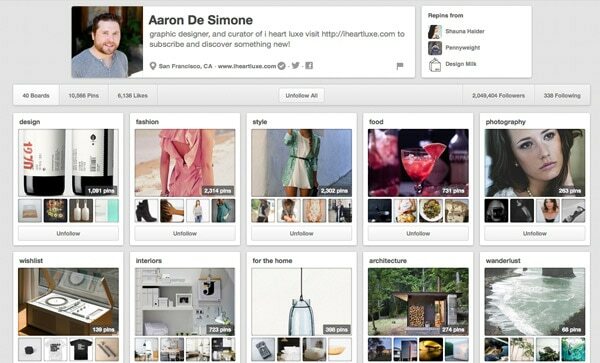 Regardless of what you have heard or what you might think, Pinterest is not just for women. Just as many top male designers are using it too. 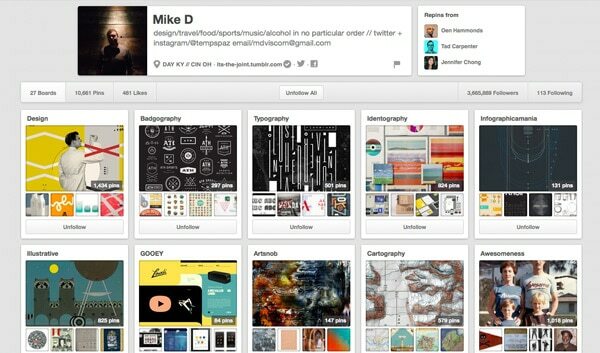 If you aren’t following Designmodo and me on Pinterest, now is the time. 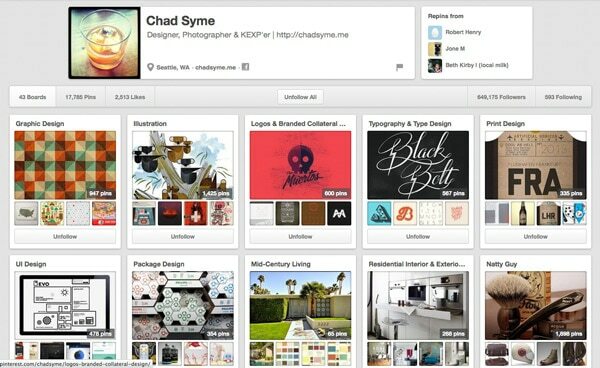 And make sure to let us know what other designers you are following in the comments! 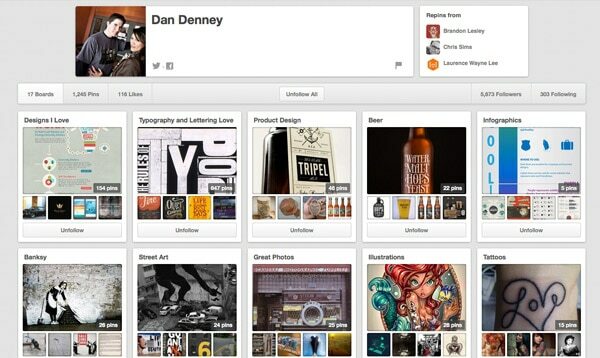 Favorite board: Design is a mixed bag of inspiration, with everything from logos to great packaging to branding. Favorite board: Table of Contents is a great collection of index pages from print products but really got me thinking about different ways to develop website navigation. 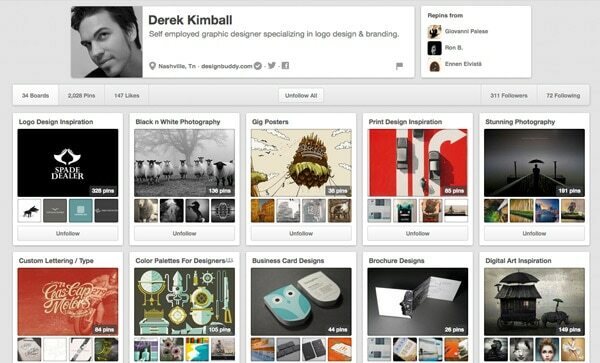 Favorite board: Cool Company is an excellent collection of fun infographics. 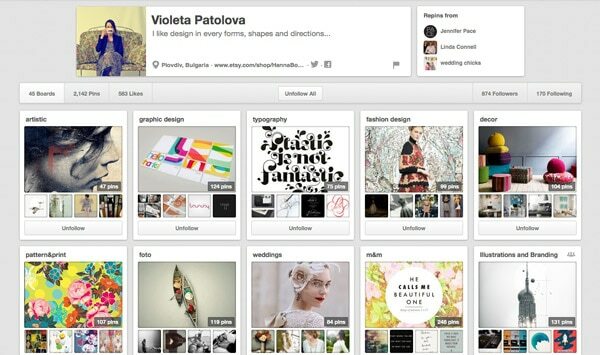 Favorite board: Fonts is a small collection of type but showcases a wide range of styles. Favorite board: Identography showcase great banding and logo styles. 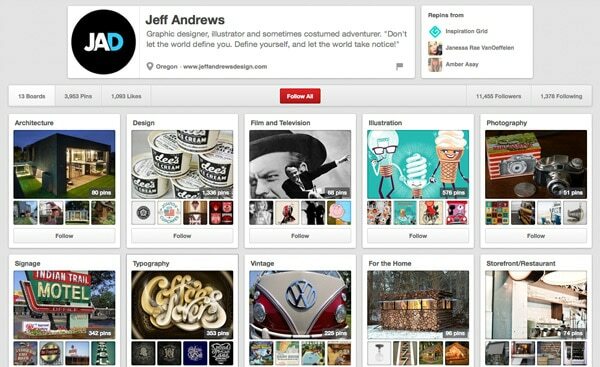 Favorite board: Typography and Lettering Love really is an impressive collection of great lettering and logotypes. 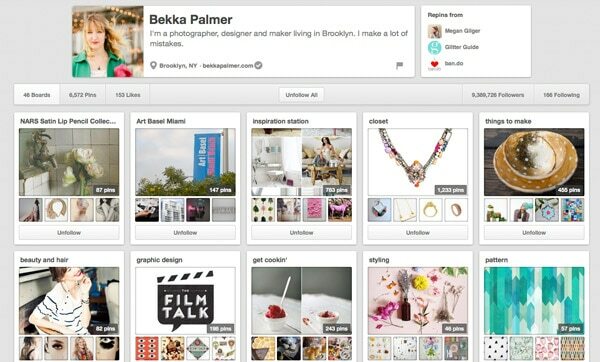 Favorite board: Letters and Numbers is filled with type, much of it with a feminine style. Favorite board: Pixels is a simple collection but contains a few nice mobile application concepts. Favorite board: Logos is a simple collection of logos with a focus on typography. 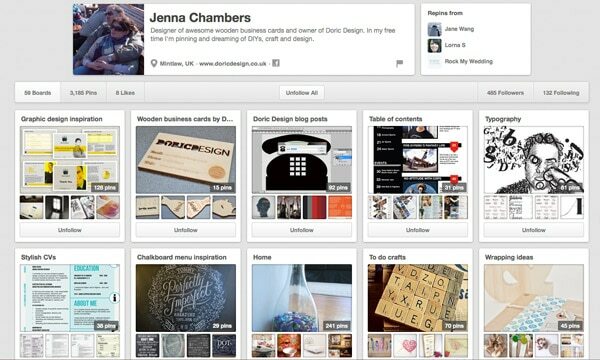 Favorite board: Design Inspiration is packed – more than 600 pins – with ideas. Favorite board: Get Crafty contains so many great color and texture combinations that would make fantastic website backgrounds. Favorite board: Advertising Excellence is a collection of cleverness that makes me wish I had developed some of the featured concepts. 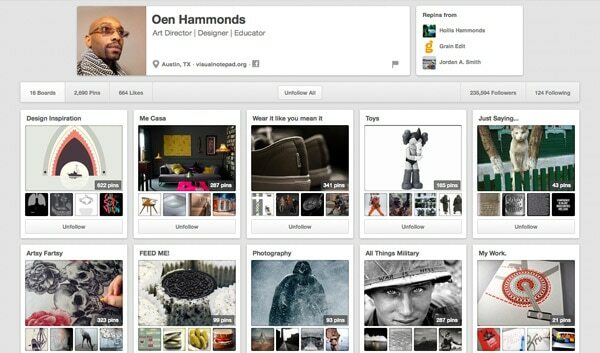 Favorite board: Infographics/UI Design shows great tablet and mobile web concepts. 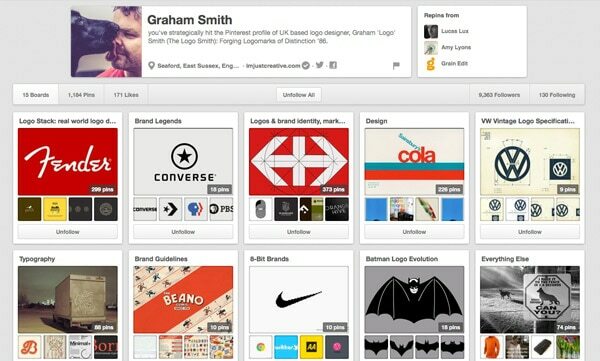 Favorite board: Graphic Design is an amazing collection of logos and branding. Favorite board: Batman Logo Evolution is nothing but fun and shows how a simple logo has evolved over the years. 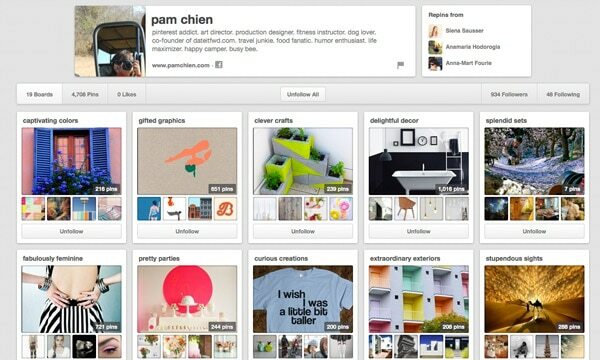 Favorite board: UI Design is sometimes hard to “see” but this board helps you get a look at user experiences in new ways. Thanks for the info, some really inspiring Pinners. Hmm… perhaps a little too “english-speaking world FTW!”?